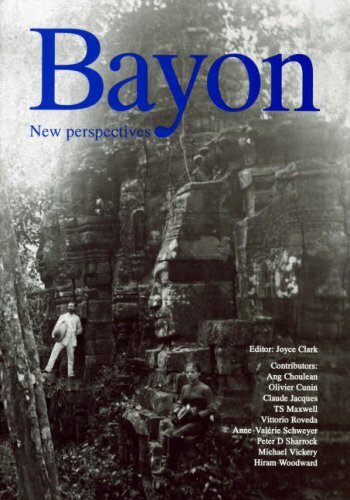 As a leading ethnologist in Cambodia, Prof. Ang, true to his principle of “Cambodian studies by the Cambodians”, has applied his own ethnic identity in uncovering the elements of local life and culture that have developed during the country’s long history, and has continued to publish his findings. His service in constructing an international framework to save the Angkor Monuments is of immeasurable value. He has won high praise worldwide for both his academic and his conservation work. Prof. Ang Choulean is not only a leading ethnologist in Cambodia but also a highly acclaimed scholar outside the country. Having studied in France, he returned to Cambodia during the Civil War there, took charge of reopening the Royal University of Fine Arts, and made a significant contribution to the reconstruction of Cambodian culture and to the preservation and restoration of its monuments. He was appointed Director of the Department of Culture and Monuments at the Authority for the Protection and Management of Angkor and the Region of Siem Reap (APSARA), which is responsible for the Angkor Monuments, a UNESCO World Heritage Site since 1992, and rendered great service to revive Cambodian culture after the destruction which it had suffered. Prof. Ang was born in Kompong Khleang in 1949. After graduating from the Royal University of Fine Arts in 1974, he studied at Ecole des Hautes Etudes en Science Sociales (EHEES) in France, and there obtained a doctorate in ethnology. His research approach, based on the ethnological empathy which has been fostered by his native wind, sun, and rain, is to bring each cultural archetype to the surface by following the clues provided in rites and the culture of everyday life, and then recombine them in a new synthesis. His efforts to place Cambodian ethnology into an anthropological context to reveal its origin, genealogy and authenticity deserve high praise. One of his masterpieces is his dissertation, "Les etres surnaturels dans la religion populaire khmere" (Supernatural Beings in Khmer Popular Religion)(1986), which was widely acclaimed as a great work that opened up a new horizon in Cambodian ethnology. He sees the religious rituals of folk beliefs as the results of the accumulation, fusion and interweaving of faiths, from animism (spirit worship), through the formerly popular Mahayana Buddhism and Hinduism to the currently widespread Theravada Buddhism. For example, in the "Paddy Mountain" ritual, time, space and fertility are represented in microcosm and blended into one. At first glance, these rituals may seem simply to follow Buddhist beliefs, but in fact, they are often a fusion of animism and Buddhism. Many young Cambodian academics have participated in the persistent and prolonged field work undertaken by Prof. Ang in pursuit of religious rites, and have received his guidance. While taking up a teaching post at the Royal University of Fine Arts, reopened in 1990, he also became a departmental director of APSARA in its early stage. He was therefore in charge of conserving the historical monuments during the chaotic period after the Civil War, and achieved much protecting monuments on the verge of collapse by appealing to the international community through the UNESCO. Since 2005, Prof. Ang has moved his focus to an educational campaign conducted in the Khmer language under the slogan of the "Khmer Renaissance". He places the foundation of Khmer tradition and culture in the framework of everyday village life, and encourages awareness of this native culture. He has been invited to many international symposia, and has examined, described and presented the unique but universal raison d’etre of Cambodian ethnology. Prof. Ang has not only been a successful ethnologist with a notable academic record, but also has contributed to the revival of his native Cambodian culture, has been instrumental in the reopening of the Royal University of Fine Arts, and has played an important role in creating APSARA, putting it in operation and forming its international framework. For all these achievements, Prof. Ang Choulean is truly worthy of the Grand Prize of the Fukuoka Prize. Field study trip with students of the Faculty of Archaeology, 1992. Conversation on traditional astronomy with an old peasant, Angkor Region, 2007. Relaxing time, near Paris, France, 2007.